Professional grade rolling navigation ruler. In excellent condition with original case and instructions. Shipping considered but not included in price. 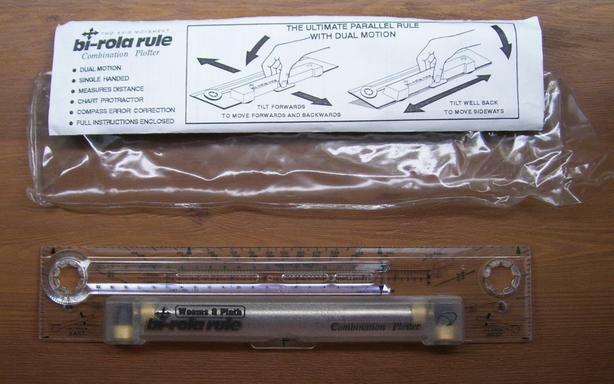 The Bi-rola Rule is a rugged plotter used by professional navigators. The patented vertical and horizontal rolling motion simplifies course and plotting calculations.